Many branches of the Wildflower Society grow and sell a range of native plants at their regular sales. If you live outside of Perth, you can get your plants from the York branch. The group is active in propagating and planting activities and holds an annual plant sale. Open on Saturday mornings at Landsdale Farm School (80 Landsdale Rd, Landsdale). Ring Hazel Dempster (0408 532 661) for details. 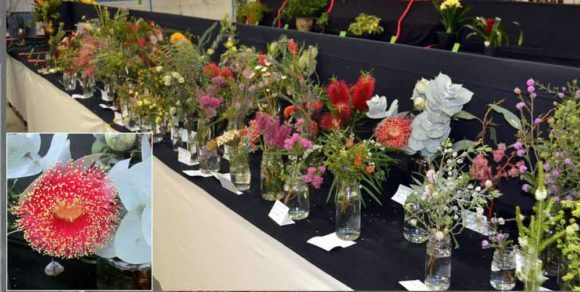 The Eastern Hills Branch holds its plant sale on the Saturday before Mother’s Day from 9am to 1pm at the Octagonal Hall, McGlew Rd. Glen Forest. See the Events Calendar for details. Get ready for Wildflower Season! Wildflower season will be starting soon! This website is the best place to find out about regional wildflower shows, guided walks and suggestions for self guided drives. Take some time and look around - and start preparing for wildflower season, which starts earlier and lasts longer than you might think!